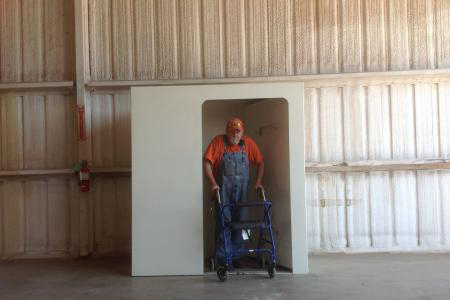 Storm shelters are a must when you live in tornado alley, especially when faced with the reality of severe storms that frequently hit this area. Confused on which kind of storm shelter is best for your family? Ground Zero Shelters is here to help! We break down all of the facts right here! Which storm shelter offers more protection? Most people think that underground shelters are safer than above ground shelters. But the truth is, both options have proven to be a solid choice. Larry Tanner, from the Texas Tech University Wind Science & Engineering Research Center, said “In my 15 years of doing storm damage research and storm shelter research, we have never documented any deaths or injuries in above ground tested safe-rooms or failures of tested safe-rooms. This includes the storms of Joplin 2011 and Moore 2013”. There was rumor that you could only survive these tornados if you were underground, but put to the test, the above ground safe rooms did their job and saved lives! 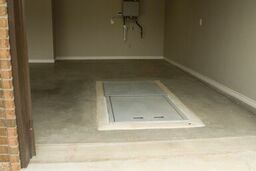 The bottom line is no one has ever been killed in an approved safe room whether above or below ground. Where to Install Safe Room? One of the main concerns people have is where they should put their safe room. The good news is that above ground storm shelters can go almost anywhere in your home including the closet, pantry or your garage. Even though safe rooms can be installed just about anywhere, one negative would be that it will take up valuable square footage. 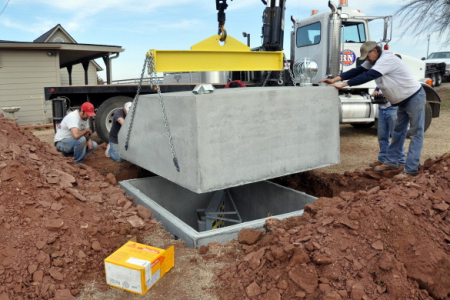 Where to Install Underground Shelter? Underground storm shelters can go in outside in the yard, or in your garage. Even though the actual storm protection is the same, it would be more beneficial if your shelter is inside the home (i.e. garage). This is because having your shelter outside can expose you to lightning, hail, extreme winds and dangerous debris which may prohibit you from quickly getting you and your family to safety. If you put an underground shelter inside your garage, it will be installed flush with the ground, allowing any vehicle to park over it. This is nice because this option does not take up any extra square footage. Another benefit of the safe room is that they are handicap accessible. You do not have to step down into the shelter, you can just wheel right in! Both shelter types add value to your home. Above ground shelters can also keep you safe from intruders. Both shelters can be GPS located. All shelters are thoroughly tested at Texas Tech Wind Science & Research Center. When planning ahead for your family’s safety, it’s always good to do your homework. The truth is, you can’t choose wrong when deciding between an above ground or below ground storm shelter. It really just comes down to a personal choice. And that choice that will give you the peace of mind that you and your family will be safe from tornados!